Our cattle at Western Legacy Farm and Ranch come from a six generation herd of Angus Cross cattle. They are homegrown and make premium beef. 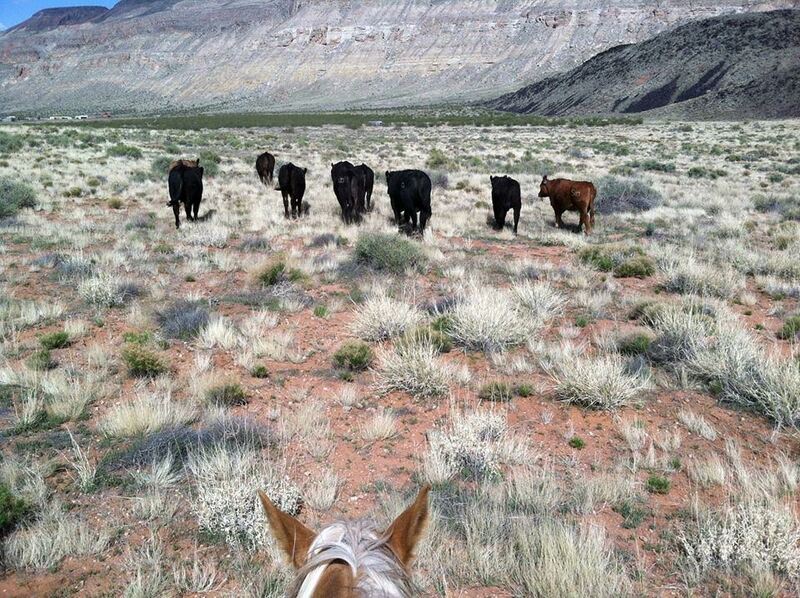 Our cattle have always been raised on the mountains of southern Utah and the deserts of the Arizona Strip. These cattle are grass fed , hormone free and finished on grain before they go to the packer. Decisions, decisions... Figure out how to have your beef order cut. Read through our guide to selecting your cuts. If you want to order a quarter please read this. If you are interested in a half, or whole skip this paragraph. If you ordered a quarter, what you will receive is commonly called a “split half.” Because, the cuts of meat in the front half differs dramatically from the back half, we evenly divide the cuts between the two to make it a fair offering. This will somewhat limit how you can have your beef cut, as it is compromise with the other customer, who will be haring the half. Again, this applies only to quarter orders. If you ordered a half or whole beef, you won’t have to split the cuts. The cost is $3.95/lb hanging weight, again, this does not include the processing, which runs about $0.60 per pound. The hanging weight is the weight of the carcass, before it is processed into individual cuts. Your take home weight of meat will be about 25-35% less depending on how you have the meat cut. 120-160 lbs = approximately $450-600 for the meat, and about $75-$100 for the processing. 240-320 lbs = approximately $900-$1200 for the meat, and about $150-$200 for the processing. 480-640 lbs = approximately $1800-2400 for the meat, and about $300-$350 for the processing. The table below gives the approximate amounts of each cut that you will receive. Your order may vary slightly from this, and you may opt for different cuts that these where it is possible. For instance, you may prefer T-bone and Porterhouse steaks rather than NY strip and Tenderloin—did you know that a Porterhouse steak is composed of a NY strip on one side of the “t-bone” and tenderloin on the other? You may also wish to have some cuts turned into ground beef, such as the brisket or short ribs.